These 3D hearts are fun to make. They also make great Valentine’s Day decorations for your home, daycare, or classroom. 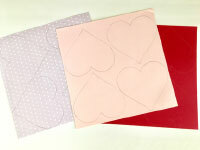 Have children trace the heart shape on colored paper. You will need at least four hearts for each 3D heart you want to make. We used four hearts. Using more would make this project look even more impressive. Cut out the paper hearts. 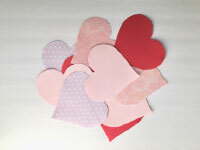 Once the paper hearts are all cut out, begin folding each one down the middle. 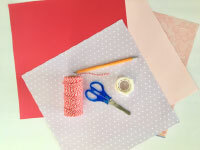 Once they are all folded, glue two sides of the hearts together, sandwiching the string in the middle, as close to the inside edge as possible. Continue gluing the heart sides together until your 3D heart is complete. You can create these on individual strings if you wish to hang them as ornaments. 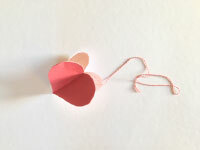 If you prefer, arrange several 3D hearts on one string to create a garland. 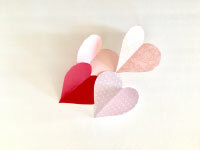 Have fun creating and displaying these fun 3D hearts!